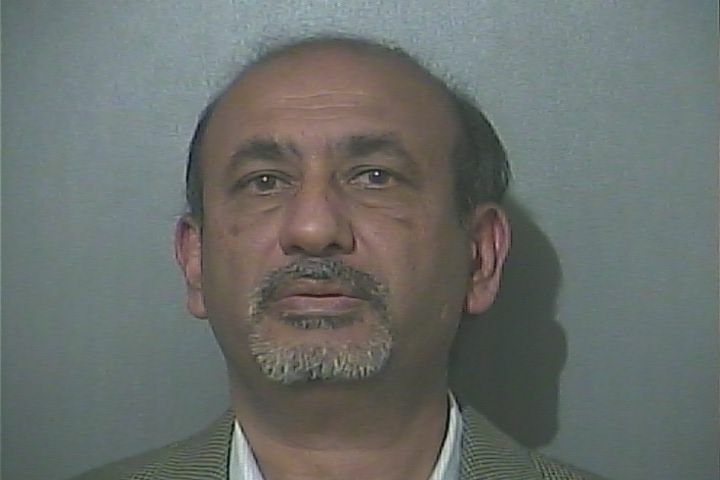 Azhar Hussain, an assistant professor of aviation technology at Indiana State University (ISU), has been arrested for making false reports to police of anti-Islamic email threats and a physical attack made against him on campus during the month of March. Hussain, 56, was booked into Vigo County Jail on Friday with a felony charge of obstruction of justice and a misdemeanor charge of harassment and is scheduled to appear in court Monday. According to an ISU press release, Hussain has been suspended from his teaching duties and arrangements are being made to cover his remaining classes and administer final exams. The alleged threats to Hussain began in a number of emails first received on March 8, 2017 which contained anti-Muslim messages and threats of potential violence against members of the Muslim community and against Hussain as a target specifically, according to the ISU. Two weeks later, on March 24, Hussain reported he had been attacked from behind in the College of Technology as he was entering his office early that morning. He told police he was assaulted and thrown to the floor and had not seen who attacked him. Campus crime alerts were sent out following the alleged emails and attack. Four people were in the vicinity when the alleged attack occurred but, according to police, they were all interviewed and had not seen or heard any suspicious people or activity. According to the university’s chief of police, Joseph Newport, Hussain fabricated the story because he had been recently notified that he would not be reappointed to his faculty position beyond the 2017-18 school year for being unable to fulfill the conditions of his original appointment. Several agencies were involved in the investigation. University Police were assisted by the Cybercrime and Investigative Technologies Section of the Indiana State Police and university’s information technologies security engineer. The ISU Police collaborated with the local FBI office and the Vigo County Prosecutor’s Office. The origination of the anti-Muslim emails were traced back to Hussain himself, according to the university’s press release. Dismissal proceedings against Hussain will start in accordance with university policy.